Otopeni Henri Coanda Bucharest Airport; Gara de Nord Bucharest Train Station: Arriving in Bucharest. 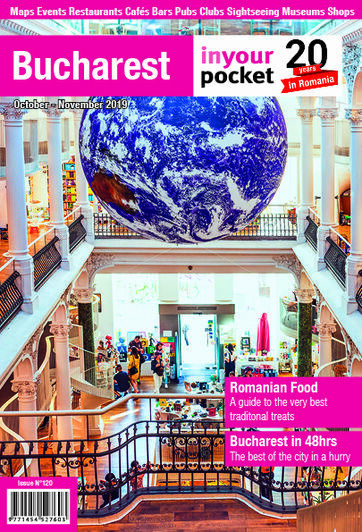 A guide to getting into Bucharest from the airport and train station. 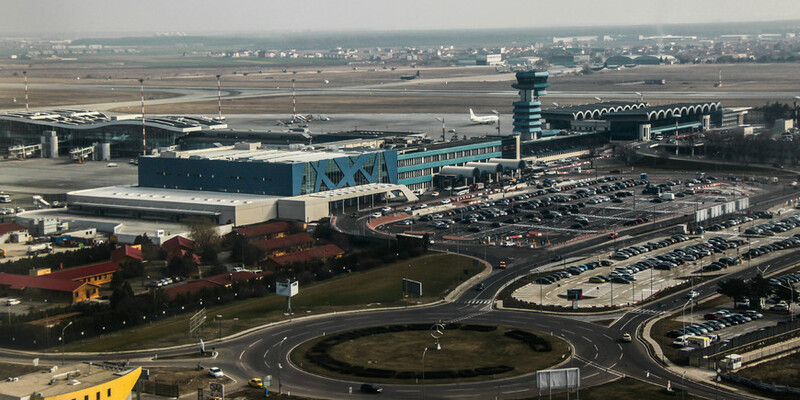 Bucharest has just two points of entry: Otopeni (Henri Coanda) Airport and Gara de Nord train station. All international and internal flights to and from Bucharest land at and take off from Otopeni, while all international (and most local) trains arrive and depart from Gara de Nord. Otopeni is a 30-45 minute drive north of the city (it depends on traffic) while Gara de Nord is just a few minutes from the city centre. Gara de Nord is Bucharest's only major railway station. All international - and most local - trains arrive and depart from here. It is located close to the city centre, one stop west from Piata Victoriei on the M1 metro line. It is not being too unkind to suggest that the station has seen better days, and that it is not the friendliest place in the city. There is a perennial cast of drunks, tramps, chancers and outright fraudsters to deal with, a situation not helped by an almost complete lack of official information points. As an introduction to Bucharest it's really rather grim, although somewhat in keeping with other railway stations around the country. Fortunately, Gara de Nord is relatively small. You will not need to spend any real amount of time here. All of the platforms lead to the same main concourse, where you will see signs for buses, taxis and the metro. There are a number of press/refreshment kiosks, a supermarket and even a McDonalds and a KFC. There are public toilets next to McDonalds (which are reasonably if not impeccably clean but certainly usable; the gents at least: they cost 1.50 lei). Avoid all of the currency exchange kiosks - they offer appalling rates of exchange and/or take huge commissions. Use one of the many ATMs to get your hands on local cash instead. There are left luggage lockers (which include plugs where you can charge phones and such like) in the First Class ticket office. They cost from 13 lei (for eight hours) to 20 lei (for 24 hours). To get to the city centre, take an honest taxi from the official taxi station outside (ignore anyone who approaches you inside the station claiming to be a taxi driver). Always double check that you get into a taxi charging no more than 1.39 lei per kilometre: a trip to anywhere in the city centre should never cost more than 10 lei. You can also hop on the metro: you are just one stop away from Piata Victoriei, or take the bus: No. 123 goes to Piata Unirii, No. 85 to Piata Universitatii and No. 780 goes to the airport. Tickets (in the form of an Activ or Multiplu card) can be bought from the little metal kiosk next to the bus stop (which is itself next to the taxi rank). Note that both the last buses and the last metro services leave Gara de Nord at around 23:00. When departing from Gara de Nord, note that queues at the ticket office can be long: do not leave buying a ticket until the last minute, as you may end up missing your train. Indeed, you are advised to buy train tickets well in advance, especially if you are planning on taking a sleeper train. None of Bucharest’s reputable hostels send people to Gara de Nord to speculatively meet trains. Anyone who approaches you (and if you have just got off the Budapest train and have a backpack, you will be approached) is trying to scam you: they will try and divert you from your intended destination (often by saying that the place you want to go to is closed) towards another hostel or hotel that they will recommend to you. Just ignore anything they say and wave them away. Bucharest’s only airport, officially known as Henri Coanda but still primarily called by its former name of Otopeni, is a bit of a dump and a far from satisfactory welcome to the Romanian capital. Built in the early 1970s, despite being extended in the 2000s it remains far too small for the ever-increasing number of flights which use it. At certain times, notably early in the morning and last thing at night, it approaches breaking point as the sheer weight of passengers force systems to break down. Whether arriving or departing, it can take up to an hour during the busiest periods to pass through passport control (still done entirely by airport staff: there are no automatic gates). Then, if you have been unfortunate enough to check luggage, you will need to wait even longer for your bag. There are just four baggage carousels, often serving three for four flights each, resulting in an almighty and rather unholy scramble. Do not be tempted to change money at any of the currency exchange points which lurk strategically next to passport control and baggage claim: they offer appalling rates of exchange and/or charge high rates of commission. The best way to get your hands on local lei is to use one of the many cashpoints in the chaotic, always busy main arrivals hall. Here you will also find an overpriced café, while to your right is a long walkway linking the arrivals and departure terminals. Along its length are a number of key service points: all of the major car rental companies are located here, as is a chemist and newsagent. In the basement of the departure terminal is a supermarket and – if needed – a doctor’s surgery open 24hrs. Otopeni is around 17 kilometres north of the centre of Bucharest. The best way to get to the city centre is by cheap local taxi, although it depends on which kind of taxi you take. You will see signs for ‘Rapid Taxi’: ignore them. These are expensive, rip-off taxis which for some unknown reason are allowed to wait for unsuspecting passengers directly outside the arrivals terminal. Instead, you should order a cheap taxi using one of the touch screens in the arrivals hall. There are four of these (two to the left as you exit, two to your right). At busy times you might have to queue, but the wait is usually worth it. Note however that the machines offer taxis from a number of Bucharest taxi companies, both those charging the correct fee of 1.39 lei per kilometre and a couple charging much more: be careful which one you choose. When the machine has found you a taxi it will dispense a ticket that informs you of the waiting time, the name of the taxi company, the taxi’s registration number and the taxi’s ID number. You then go outside and wait for the taxi. Hold on to the ticket as you need to hand it to the driver. A ride to the city centre with a cheap taxi should cost between 30-40 lei, and not one ban more. You can also call an Uber if you have the app on your phone, although they are not allowed to pick you up directly outside the terminal: they will wait for you on the top floor of the car park, opposite. Then there is the bus. Number 783 runs rather slowly from the airport to Piata Unirii (stopping at Piata Victoriei, Piata Romana and Universitate along the way). It stops in front of the ground floor of the arrivals terminal and departs every 30 minutes throughout the day, and then every 40 minutes throughout the night. Another bus, No. 780, runs to Bucharest’s main station, Gara de Nord, from 05:30-23:05. To take either bus you will need a ticket, in the shape of an Activ Card which needs to be purchased before you get on board. You can buy one from the little kiosk on your right hand side as you exit the arrivals terminal. A return journey to the city centre costs 7 lei (there are no singles) and you will also need to pay 3.70 for the card itself. However, it can be loaded with funds as often as you like at any ticket kiosk in Bucharest and used on all buses and trams. The full timetable of the 783 bus from Otopeni is online at ratb.ro. The 780 timetable is here. The timetables for the buses running to the airport are here (the No. 783 from Piata Unirii) and here (the No. 780) from Gara de Nord. When departing from Otopeni, allow yourself plenty of time to get there: at least an hour if you are taking the bus, particularly during the morning and evening rush hours. Note that the buses - meant to be 'airport expresses' - in fact stop at every halt along their routes. What's more, the buses are standard Bucharest vehicles not adapted for those travelling to and from the airport (there is nowhere to put your luggage, for example). Still, it's cheap. Finally, a word on departing from Otopeni. The road to the airport can get very busy during the morning and evening rush hours: always make sure you leave yourself enough time to get to the airport: at least an hour if you are taking the awfully slow bus. For a more comfortable ride into the city centre you can use a private airport transfer company. We recommend two companies: TransVision and S Tours: book in advance and your driver will be waiting for you as you exit the baggage area.